Hey Disney Channel fans! 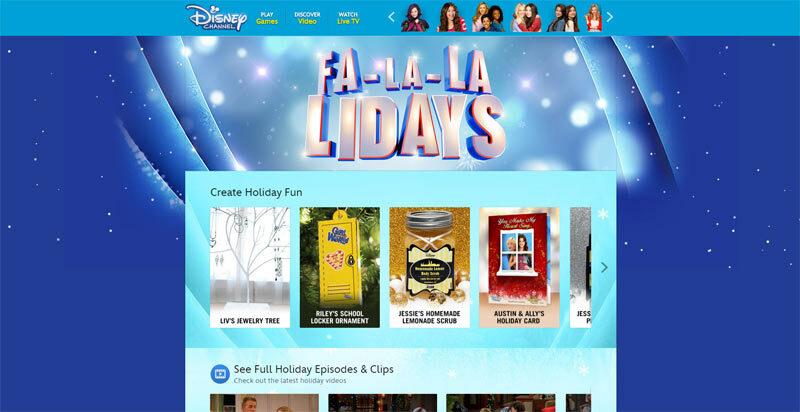 Here’s your chance to win from $4,500 worth of prizes including tablets, merchandise from Disney Channel shows, Disney Frozen Playsets, and more in Disney Channel’s Dazzle Your Holiday Sweepstakes! Ten lucky viewers will each receive a Prize Pack valued at $450! For your chance to win, get your parent’s permission and using a mobile device, send text message including the keyword “DAZZLE” to DISNEY (347639) or participate by mail by sending a 3″ x 5″ card or piece of paper containing your full name, street address, city, state and zip code, home phone number, birth date and e-mail address in a hand-addressed, stamped business size (#10) envelope to: Disney Channel’s Dazzle Your Holiday Sweepstakes, c/o Ventura Associates, 60 East 42nd Street, Suite 650, Dept. BW, New York, NY 10165.
are legal residents of, and physically located within, the 50 United States or D.C.
i love Disney channel so much I have never won one of these,it would be a honor!!!!!!!!!!!!! I love Disney so much I hope I win. I need a new tablet and I will get the other thing for my sister for Christmas. I would love to win I have never entered a sweepstakes and I LOVE ALL the Disney shows. DISNEY CHANNEL IS MY FAVORITE CHANNEL!!!!!!!!!!!!! I stated watching disney channel scence I was 5 years old!!!! I really want to win i have never won a sweepstakes before I really want to win if I can. I love watching Disney channel I only watch it on weekends but when I watch it I love it. Hi, I love what you are doing on Radio Disney on Disney Channel . I have never won or been on TV before but I would love to be on TV this year. I would be so happy to win. I love Disney it is so cool! Disney channel is such a great channel. this is my first sweepstakes I hope I win. I LOVE DISNEY SO MUCH!!!!!!!!!!!!!!!!!!! I love love Disney channel and i never won one of these. my daughter loves disney channel she watches it every day she really really really wants to win I hope Disney will pick us.My daughter has been wishing to win and has been down lately. Disney channel is my life and I watch it every day please pick me never in my life I never won anything so please pick me. If you don’t pick me I will die because like I said I never won anything like this in my entire life and I would love to so please pick me and my family and I have been dieing to go somewhere like this but we never got a chance to.